I. How Could a Bear Sleep Here? When it gets really cold outside, bears find a cozy place to hibernate. In the story we are going to read, HOW COULD A BEAR SLEEP HERE?, a bear named Shelby tries to hibernate, but winds up traveling, or migrating, by mistake. 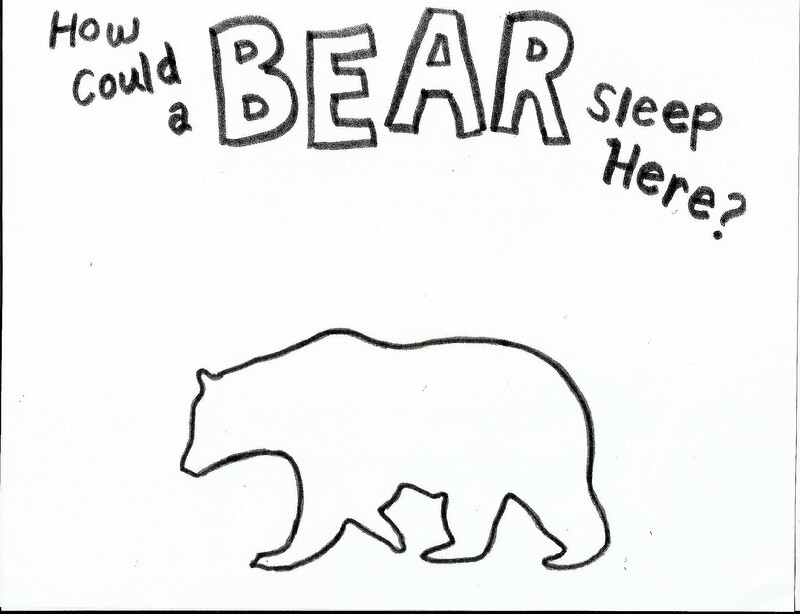 Do you think a beach is a good place for a bear to hibernate? What might happen to a bear on the beach? Optional: Record the children's predictions. Then read the book to see if their answers happen in the story. Have you ever put a conch shell over your ear? Do you think the shells will help Shelby stay asleep? Why or why not? If you have conch shells available, let the children experiment with them. What kind of bear is Shelby? (For example, is he smart? Brave? Kind?) Do you like him? Why or why not? What will the news reporters on the beach say about Shelby? Do you think Shelby will ever hop on a bus again? Why or why not? If you were an animal, would you like to hibernate or migrate? Why? Have the children brainstorm other silly places the bus could have taken Shelby. Print out the bear picture at the end of this section. 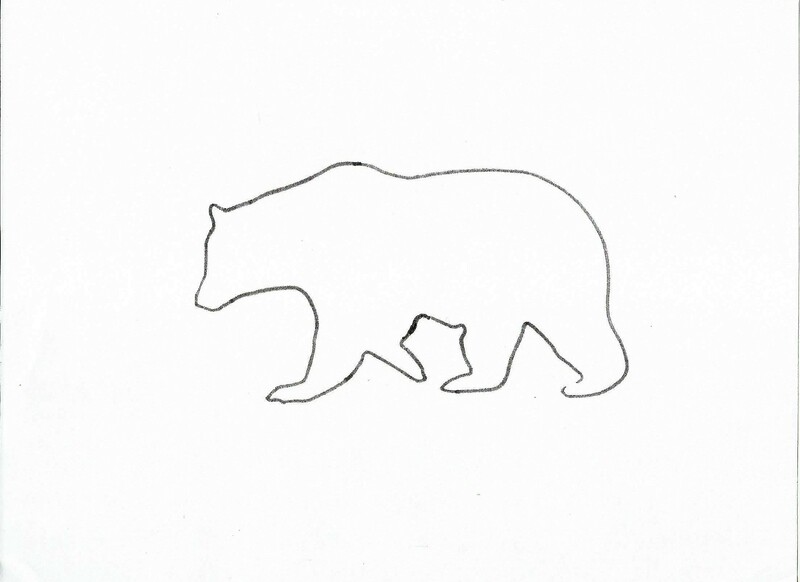 Instruct the children to color the bear and decorate the background. They can make their background look like the beach or one of the places they brainstormed, depending on their age and level of creativity. Help each child finish the sentence at the bottom: My bear visits . * For children with scissor skills: The bears can be traced and cut from brown construction paper, then glued to a scene the children have drawn/decorated. a. Have the children write a personal narrative about a time they fell asleep in an unusual place. Did they stay asleep for long? Was it comfortable? What woke them up? b. Have them pretend they are a reporter covering Shelby's cat rescue. Ask them to write the news article, including the 5 w's: who, what, where, when, and why. Order HOW COULD A BEAR SLEEP HERE?